You are here: Home › Opinion › F35, IN CAPABILITY GAP BATTLE OF VICARIOUS METAPHORS AND INTERNECINE POLICY SKIRMISHES. Conventional defence is expensive. World stage, diverse, inclusive societal programs are “increasingly” so. Continental defence and international allied engagements are “commensurately” so. One has to wonder given the metaphor, “more teeth than tail,” tossed around frequently, whether or not that means a new set of dentures, fixed or removable for convenience when it comes to defence and NATO consensus decisions. Are “soft power” and “peacekeeping” still appropriate brandings or realistic roles for Canada’s current military-political leadership within the direction given and the transparency and accountability deployments require? Or do they warrant various forms of oversight on defence matters or reactions from all quarters of the “world stage” credibility games and their influences? It also begs the question in the “more teeth than tail” metaphor: whose tail is wagging whose dog when it comes to sovereign defence-military INTENT, NEEDS, capability, capacity, interoperability, command, and control requirements for ALLIED engagements, to LEAD international coalitions or alliance OPERATIONS? All the while comptrollership, extracting industrial benefits and foreign military sales from DEFENCE CAPITAL ACQUISITIONS such as the F35 are confounded and intractable by serial defence policy reviews and PROCUREMENT processes to distribute regional benefits through transactions governed by the Defence Production and Financial Administration Acts. According to the 2016 BUDGET presentation, we CANADA are building A MORE MOBILE-AGILE “NEW SECURITY/DEFENCE STRATEGY,” while an aircraft replacement program “OPTIONS-CONSULTATION” is underway. This is about bridging a “CAPABILITY GAP” in our continental defence stewardship and honouring CANADA’s “consensus” commitments to our NATO ALLIES. On the FINANCES and Capital acquisition of the CF18 and new ship replacements, according to the budget presentation, March 2016, it is planned to “reallocate funds” to ensure money “is available-when needed” over the period 2015-2021. Hardly likely given the current government’s sitting mandate or a “deep dive” into funding allocations. All this to say, amidst pledges to support our troops with the best equipment possible, or if possible, the political veneer of deployments portends to be: “we do what we do best” within the peace-making-peace keeping conundrum, all the while leading a NATO engagement in Poland, train, assist and development support “package” to the Middle East allied effort there, among several other disbursed deployments, such as Ukraine/Crimea are ongoing. All the while the U.N. is sourcing out peacekeeping missions, bolstering some, and sometimes refusing to accept requests from some nations. “Boots on the Ground,” a euphemism, and another matter involving the “blood and treasure” equation continuously confronts defence ministers and military leaders. National Post Column August 3rd, by John Ivison “Sajjan Pursues Mission Impossible,” refers. On the world stage, for example, after the September 11th 2001 terrorist attack on our closest ally the United States, our Minister of Defence Art Eggleton authorized through the GOVENOR GENERAL, the Commander in Chief, the participation of 100 military exchange members in U.S. operations in Afghanistan summing up the government mind set at the time. The Afghanistan operations then were aimed at identifying and neutralizing al-Qaeda members in that country and toppling the Taliban regime who were supporting terrorism, according to Eggleton. Subsequently, our MILITARY leaders in the best-allied traditions of our country excelled, ended our combat engagement in 2011 and in sacrifice gave Canada enormous pride. After some 10 years of “Military Operations,” the sitting Conservative Government established a two-year “in country” train and mentor program for the Afghanistan’s National Army at the 2012 NATO Summit with a 2014 end date. Suffice to say, providing “train and assist,” while withdrawing Canada’s air and troop support from the combat engagements in the ALLIED fight against ISIL is the current dominant thinking while favouring humanitarian relief and development programs in the middle of an intractable ALLIED war against ISIL. Upfront Ottawa Article: February 16th 2016: Withdrawal of CF-18s from NATO-led Middle East Bombing Mission. President OBAMA reminded Canada in his House of Commons address recently about the importance of NATO contributions to the “collective” defence interests, tactfully put, “MORE CANADA.” To rounds of inclusive applause, one has to wonder what the diverse interpretations were. The President’s entreaty between leaders of two sovereign nations underscores the broader or global problem of inequitable burden sharing of defence expenditures, where the U.S. is lifting the heavy capability end of the log, to the frustration of its own electorate, November presidential elections aside, another complexing intervention. The CF-18, only half of which are operational, is a pretty much outdated aircraft at the end of its useful life. It supports our U.S NORAD continental defence pact under our JOINT COMMAND. The F35 is a state of the art STEALTH multirole aircraft and interoperable within NORAD’s operational command and control structure. The F35 is purpose built. Politically, the F35 could also be described as a “Trojan Horse” or a resonating “hot potato,” belying its intended military purpose, particularly concerning its capability and prospective use within our NATO PACT commitments-obligations that require command and control as well as interoperability in support of alliance operations. By way of background, the F35 seed was sown in the early 1990s by the Liberal Government under a Canada-US Defence Development Arrangement following the “politically” inspired cancellation of an international competition and acquisition of the EH101, a European-Consortium and Canadian industrial offset package, roughly speaking. The cancellation also underscored controversial divides in the peacemaking-peacekeeping concepts, and/or balanced budgets versus deficits-economic versus social benefits and so on. In short, competing political, military, social, and geopolitical expressions. The results from the electoral mandates during the late 1990s alongside and other national-leadership challenges eventually led to budget balance heading into the Afghanistan military engagement, all speak for themselves, an intervening Quebec referendum to boot. All this to say, in the context of military capability acquisitions, the cancellation of EH101 more importantly underscored and illustrated the protracted nature of “developing and producing” the defence-military maritime helicopter over subsequent elections for a period of 20 years or so. As of June 19, 2015, the Government of Canada eventually took delivery of six of 28 combat capable, “state of the art”CH-148 Cyclones whose predecessor was the EH101. The helicopters were accepted on a schedule set out in January 2014. The Capital acquisition program also involved modification to Canadian Halifax-class ships. This was achieved amidst a world recession and an eventual “disputed” “balanced” federal budget before the change of government in 2015. By comparison to the EH101 acquisition case, the F35A military capability development cycle has reached production status and a statement of Canadian operational requirements in that context was completed in 2011, close to 20 years through Canada’s “memo of understanding” involving Canada’s involvement in the program. Defence Industry Daily, Canada Preparing to Replace its CF-18 Hornets, refers. Canada is a second-tier participant in its development and production. 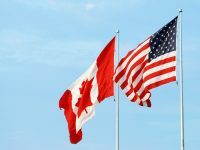 Canada benefits under its CDA-U.S. DEFENCE DEVELOPMENT PRODUCTION and SHARING arrangements and agreements. Canada has forked out close to $300 million to garner military, commercial, and defence industrial-base benefits within Canada’s high tech and aerospace industries. Since then, the current government recently dished out a further $33 million to continue beneficial membership. The F35 is a joint multinational-international development program, a research, development, and production effort, designed to serve the operational needs of constituent arms of the U.S. Military and their capability needs. The basic F35 is designed as a MULTIROLE STEALTH ground attack fighter weapons system built on a single set of basic specifications for construction and maintenance purposes. It was designed for economies of scale and built to replace three different aircraft, the roles of the F16 Fighting Falcon, A10 Warthog and the U.S Marine AV 8B Harrier. The F35A MODEL, the JOINT STRIKE FIGHTER, is a conventional takeoff and landing vehicle. The customer, by and large, is the United States Air Force and the contractor and integrator is Lockheed Martin. On August 3rd 2016 it was reported: The Commander of U.S. Air Combat Command, the CUSTOMER and USER stated: [The Air Force version has met ALL KEY CRITERIA for reaching initial OPERATIONS and has achieved COMBAT CAPABILITY.] He added the F35A will be the most dominant aircraft in the Air Force inventory. It can go where legacy aircraft cannot and provides the CAPABILITIES our Commanders need on the MODERN battlefield.] Ottawa Citizen August 3rd article by Davis Pugliese: F35 fighter jet is ready for combat refers. During the baiting elections in the early 2000s and 2015 in particular, the F35 became a political football, showcased and kicked around in baiting leadership and election campaigns. Latterly, the propaganda intensified using Parliamentary BUDGET OFFICE F35 lifecycle estimates and projections based on accounting principles and price, but bereft of military acquisition costs, intent, needs, requirements and comparative distinctions in capability or comparisons to the CF-18 lifecycle costs. 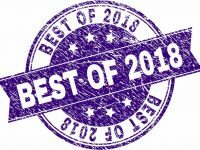 We will get the CF-18s replaced and get it done by “open competition” and “reallocation of funds as needed.” “Too much fearmongering – we’re here,” “we’ll succeed where others failed.” Others might argue it is a “Hobson’s Choice” of their own making- the “writing is on the wall” is in red ink, amid their own planned massive deficits in the name of investments. It is cavalier considering the Minister of Public Services and Procurement’s legal mandate and the compliances necessary under the Defence Production Act provisions. The Minister must also ensure full compliance with the Conflict of Interest Act, the Financial Administration Act, and Treasury Board Policies and Guidelines. In layman’s terms, the Minister is responsible for METHOD of SUPPLY decisions and the management of the Capital Acquisition Program to ensure TIMELY DELIVERY, equity, probity in contracting and best value for the TAXPAYER in an open and transparent manner. All this to say, the Minister of Defence has stated there’s an aircraft capability gap within our sovereign defence-military INTENT, NEEDS, and REQUIREMENTS that concerns, modern operational interoperability, and command and control requirements for ALLIED engagements or in order to LEAD international coalition or alliance OPERATIONS. The Liberal Government’s “Hobson’s Choices” lie within its transparency and accountability obligations to the people of Canada through Parliament. We are further from “Solomon-like” acquisition decisions, selection and procurement, the business of delivery…there are political, jurisdictional and “evidence-based” battles yet to be fought. Kevin Murray took part in the Amalgamation of the Department of Defence Production with the Canadian Government Supply Service to form the Department of Supply and Services. He served in the capacity of Executive Secretary to the Deputy Minister Supply Administration EDP Systems Management Committee and as a Corporate Systems Manager involved in the formation of Product Centres, Supply Management specifications and the implementation of revenue dependency for government services. Don’t forget Canada’s Trojan Horse-February 9th 2016. Canada offers up 600 peacekeepers to United Nations. Lee Berthiaume-Canadian Press- August 26th 2016. Up to 600 Canadian soldiers — including engineers and medical units — are being committed to future peacekeeping operations, as well as equipment such as helicopters and planes, Defence Minister Harjit Sajjan and Foreign Affairs Minister Stephane Dion said Friday. “(It is) time to act with responsible conviction as a determined peacebuilder.” Dion said. 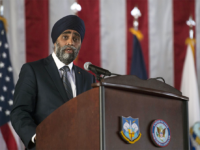 Sajjan said Friday’s announcement signals that Canada is committed to re-engaging in a full spectrum of multilateral peace operations, but he also warned that the landscape has changed dramatically in the last 20 years. 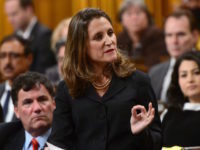 Some have questioned the Liberal government’s emphasis on peacekeeping given that many UN missions involve dealing with terrorist groups and other non-state actors. There have also been concerns that the military, which also has a large mission in Iraq and will be soon going to Latvia, is being stretched thin. Sajjan has said the government won’t task the military with anything that commanders believe they can’t handle. In 2006 Canada agreed to participate as a partner at a cost of U.S$551 million-That did not commit the Government to buying the aircraft, although it provided inside data about the project and a chance for domestic aerospace firms to bid on F35 work. “Canada has not signed a contract and can pull out by providing a 90 day written notification to other participating nations”- the analysis prepared for Deputy Minister John Forster pointed out. The analysis also noted that Ottawa had also signed a separate memorandum of understanding with F35 builder Lockheed Martin. Under that commitment Lockheed Martin provided F35 work to Canadian firms on the understanding the Canadian Government would eventually buy 65 of the jets. If Canada decided not to proceed with the purchase, Lockheed Martin would not be obliged to employ domestic firms, the DND analysis noted. “There is a risk that some contacts would not be renewed,” it added. Lockheed Martin warned Canadian companies who had F-35 contracts would suffer. After that, plans for a Super Hornet interim deal seemed to disappear. On August 26th 2016 at the end of a two day caucus meeting in Saguenay, Quebec, Cabinet revealed plans to spend $450 million over the next three years on peace and stability projects without any indication which countries or U.N. missions the government has in mind other than Cabinet will have important decisions to take where and how these resources will be deployed.